A valid, signed US passport. The passport must have at least 6 months remaining after the completion of your stay in Benin. One fully completed and signed Benin visa application 2015 Any incomplete application files shall be rejected and the application fees shall not be refundable. Copy of round trip airline tickets or itinerary, letter of confirmation from travel agent , letter of guarantee from employer or a bank letter of guarantee. One fully completed and signed Benin visa application 2015. . Any incomplete application files shall be rejected and the application fees shall not be refundable. 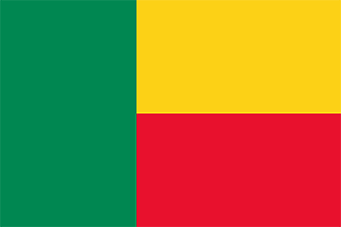 The Embassy of Benin in Washington, D.C. would like to bring to the attention of the public that effective September 15, new rates will apply for visa to Benin for Non-American citizens. – For rush fees (same day), add a separate money order. – All applicants are urged to comply with the application form available on the Embassy’s website and to fill out the form in all its parts. – Any incomplete application files shall be rejected and the application fees shall not be refundable. The Embassy of Benin wishes you a pleasant stay in Benin. Visa is issued for one day through ninety (90) days with one or multiple entry and transit within entry. Visa fees: $80 (Money order or certified check only). Length of visa may not exceed validity of passport. – Please, allow 72 hours (Three business days) for issuance of visa. For Rush fees (Same day), add a separate money order in the amount of $70.